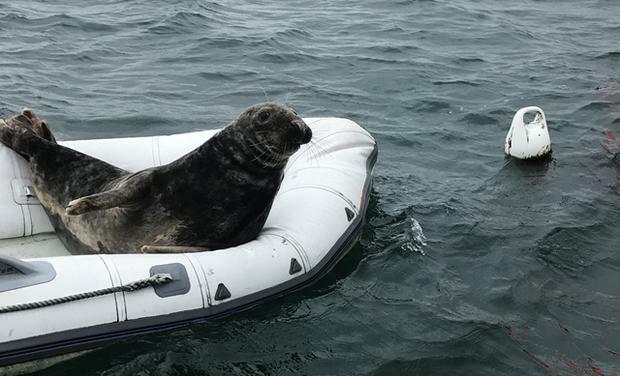 He managed to climb aboard a dinghy that was moored off the Copeland Islands off the coast of Co Down on Saturday. His antics were captured on video and posted on the Copeland Islands Facebook page. Judging by the comments, the seal regularly makes an appearance in the area, much to the delight of locals. "That seal again!!! - feeling entertained" wrote the page administrator, while another said, "Look what Sammy's up to today."